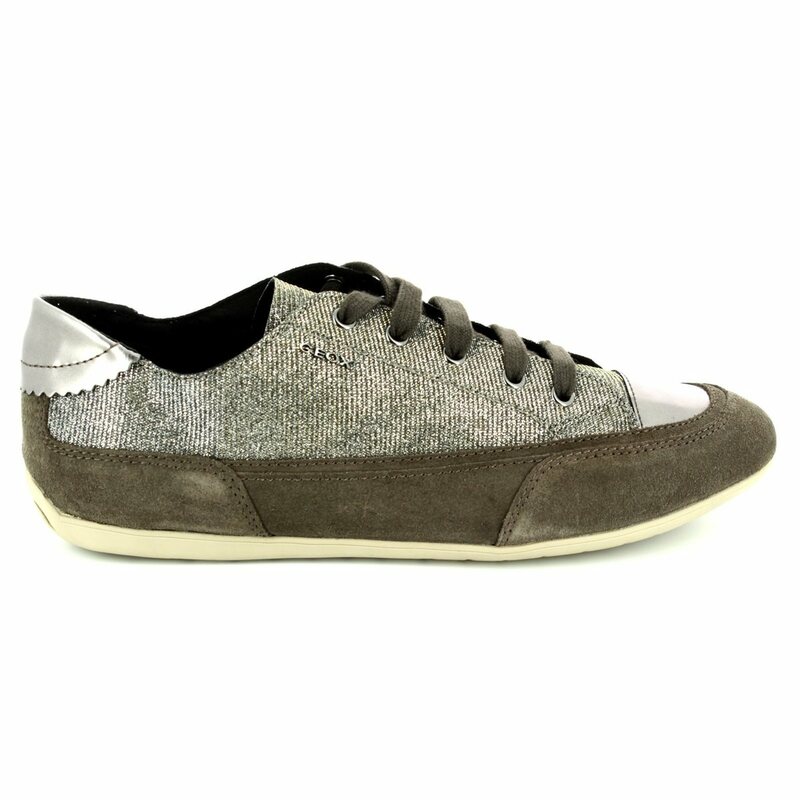 Geox brings us D5260D/C1G6J NEW MOENA D a stylish women's taupe trainer. 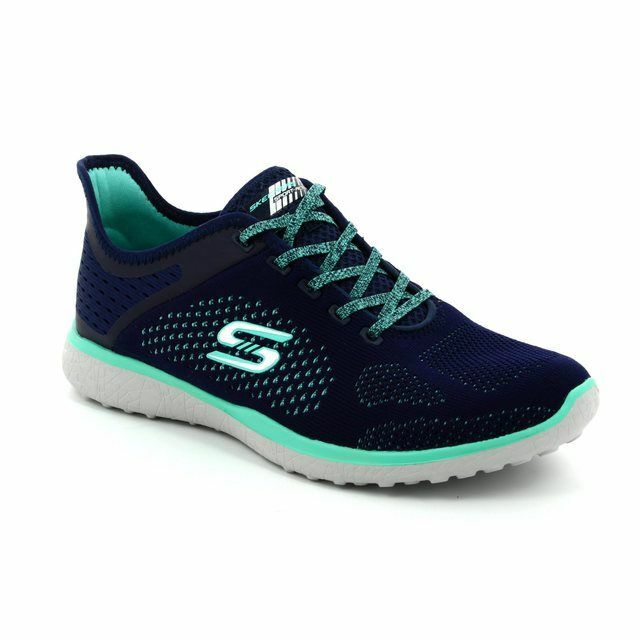 These trainers combine Italian style with comfort and practicality making them ideal for wearing everyday. 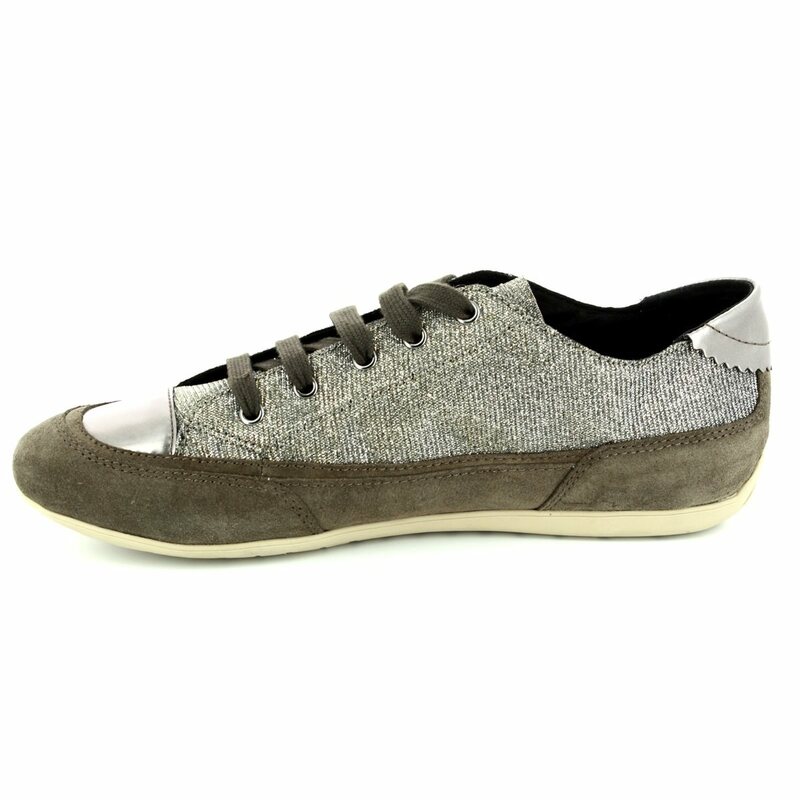 The upper is made from suede leather around the bottom with a textile mesh featuring a subtle glitter. 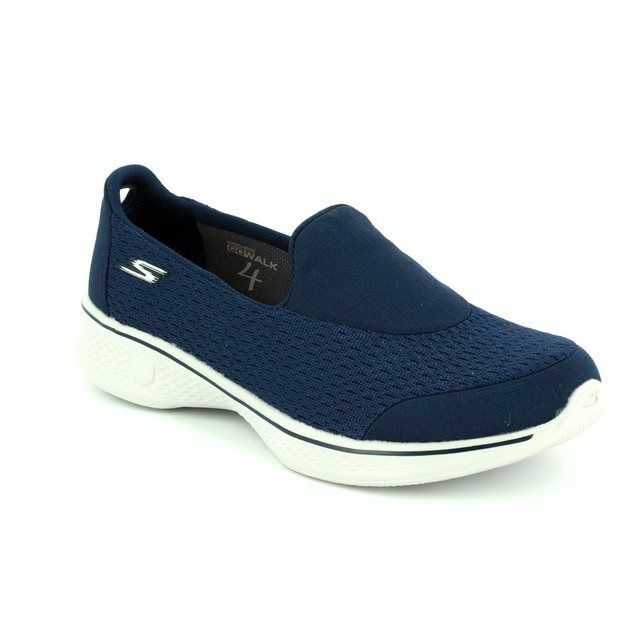 To give a small lift for comfort and support there is an internal 1.5cm concealed wedge. 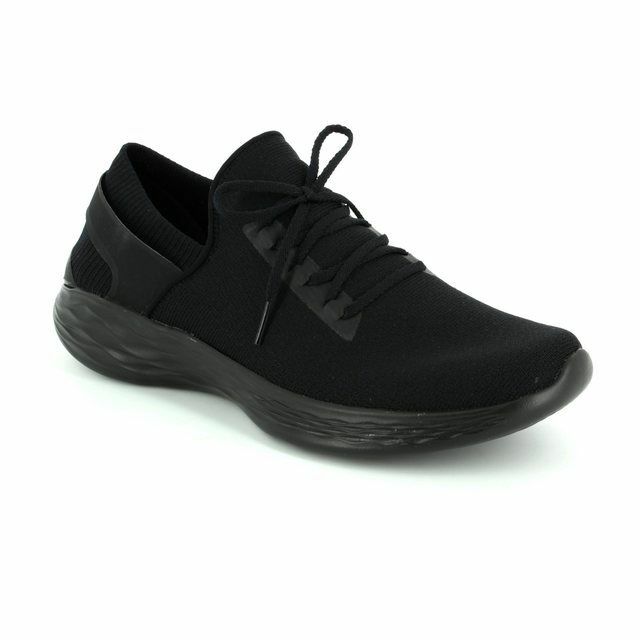 The rubber sole features a perforated pattern that is Geox's patented system for allowing moisture to escape but not letting water droplets creating a healthy microclimate for your foot. 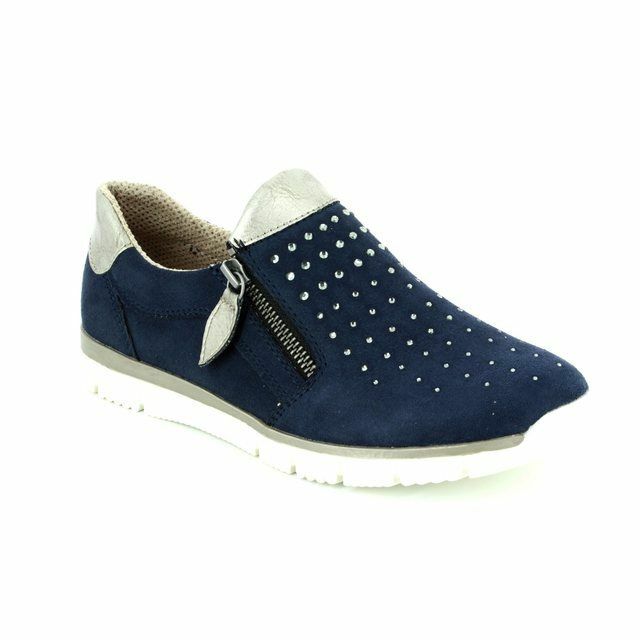 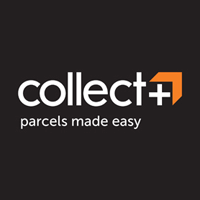 The lace fastenings allow for a fully adjustable fit. 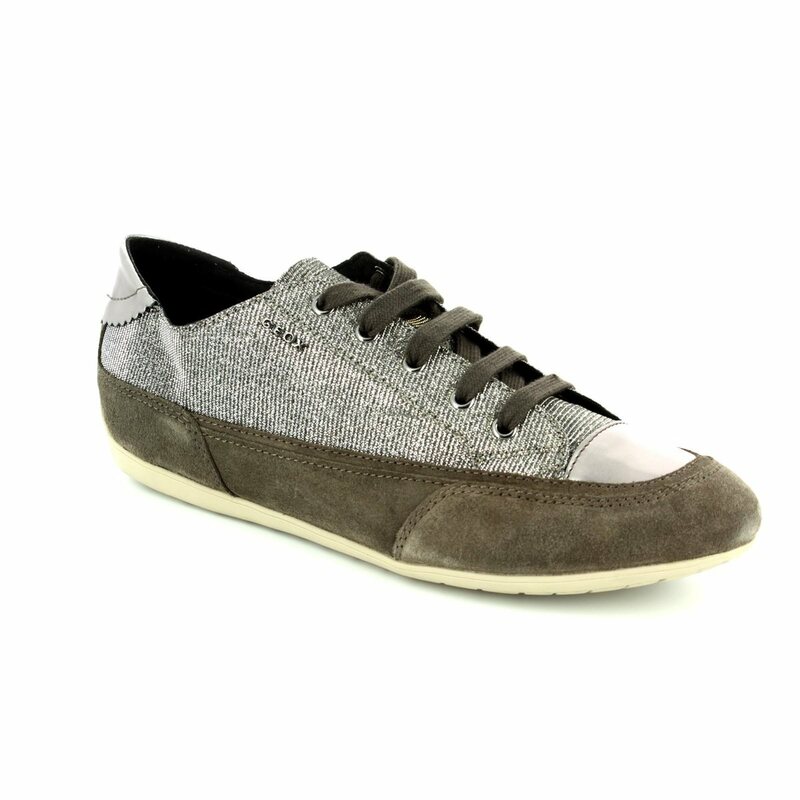 Buy your Geox women's trainers from Begg Shoes, an official Geox stockist.